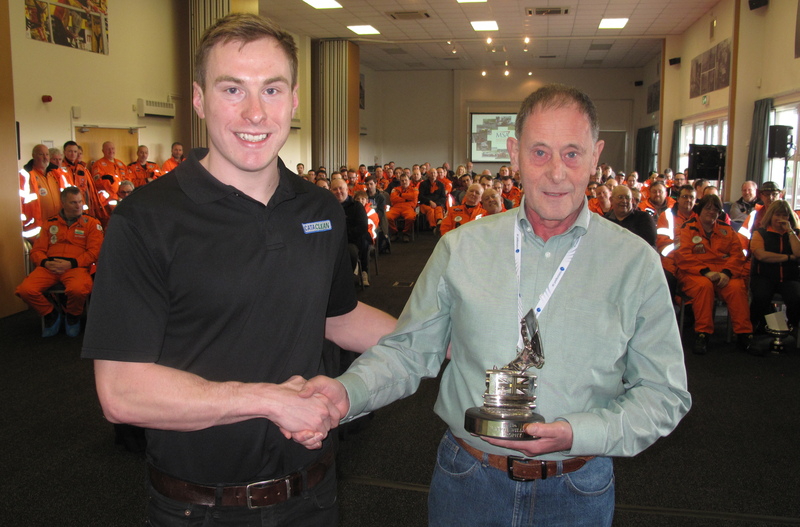 The British Motorsports Marshals’ Club has announced the winner of the inaugural Barrie “Whizzo” Williams BMMC Racing Marshal of the Year Trophy is North West marshal and Regional training co-ordinator Bill Gray. This year, the BMMC Racing Marshal of the Year Trophy honours a prolific racing driver and Club President Barrie “Whizzo” Williams who retired after a 60-year career in 2018 before passing away after a fall. A much-respected Post Chief and an Examining Speed Marshal, Bill has also been Chief Marshal for Liverpool Motor Club at Aintree for many years. In his nomination North West Chair Mike Broadbent also cited Bill’s work as North West training co-ordinator where he has enhanced our training with his quietly efficient way of working, and his proven organisation skills. It is also worth noting Bill narrowly missed out on the accolade of Motorsport UK Marshal of the Year. The inaugural Barrie Williams Trophy was also sponsored this year for the first time by Cataclean who are providing an exclusive British Motorsport Marshals Club (BMMC) racing jacket recognising Bill’s achievements, a British Touring Car Championship official merchandise kit as worn by the Rowbottom team and a free set of BMMC overalls. Speaking on behalf of the BMMC, Chair Nadine Lewis said: “Bill is a very deserving winner of the inaugural Barrie Williams Trophy and a much-respected marshal. Speaking after Cataclean Sales Manager Zach Baigent presented him with the Barrie Williams Trophy, Bill said: “I am extremely proud to be the inaugural winner of the Barrie Williams Trophy as the BMMC Marshal of the Year and thank the North West Committee and National Council for the award.